We got inspired and took the liberty to bring you the Dr Who Suit. It is your turn to display a classy style wearing the 10th Doctor David Tennant Suit made from high-quality Wool blend fabric, ensuring a professional look. Good for a formal occasion and also to portray the character. Place your order today. About Drama Doctor Who is the most watched and one of the best ongoing TV series of all time. Lots of different characters are also introduced in the show since it was first transmitted on air in 1963. This drama serial was presented by BBC and is based on science fiction that means this serial is full of technologies and other scientific things that can blow your mind and of course, this series has used lots of techniques in it. As from the other planet with lots of powers with him in which one was a sonic Screwdriver, that helps in fighting with the evil sources, who are after to harm the innocent people and try to change the history as well. But the Doctor fights with the evil forces and protects the people of planet Earth with his powers. The Doctor is also capable of regenerating the damaged body and can transform his personality and appearance into another character whenever he wants to. He got this power from his planet. In this show, there is also a time traveling machine called Tardis in which the Doctor traveled from his planet to planet Earth. The design of this machine is a Police Box that appeared in 1963 and still hasn't changed. Still Tardis is in the show and is the source for Doctor to travel from one planet to another. The thing that makes this drama serial a big hit is that it always comes up with new ideas in every new series that makes it best for viewers. These ideas can be a new story with new thrill, obstacle, character, script or monsters. Also, you can feel a big change in fashion life of this serial with every other episode where they introduce latest fashion life like his Tenth Doctor Suit. About Character David Tennant, who is one of the most handsome men on Earth and the most attractive guy in the serial, has worked as the Tenth Doctor of the serial from 2005 to 2010. He has given this series some massive appearance in lots of episodes and individual shows as well. His acting as a doctor is still loved by lots of fans of this drama series. The show got a big hit premier “Rose” in 2005 after the absence of 16 years. After this, BBC announced that Christopher Eccleston is not going to be a Doctor in the second series. 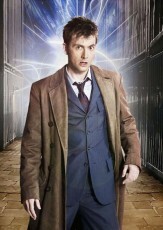 Later, BBC promoted David Tennant as the next doctor of the show. In 2005, David Tennant first appeared on this show at the end of “The Parting of the Way” for just 20 seconds, indicating the regeneration from Christopher Ninth Doctor to Tennant Tenth Doctor. As the process of regeneration, the personality and appearance of Doctor changes and Tennant got the chance to introduce his style in the show. The first appearance of David Tennant as the doctor was in a mini-episode “Children in Need” and in “The Christmas Invasion” a Christmas special episode in 2005. It was depicted in the Doctor Who series that he was noticed wearing the Dr Who Suit. He’s looked great; it’s in brown and many fans kept staring at it. The reason because he changed the whole concept of formal and that’s something everybody should follow as new innovation keep showing up. This is how David Tennant rolls that’s why he has been loved by all. replicas of what was seen in the TV shows. Almost. This Dr Who Brown Suit was off on the color and texture. Not enough to return or complain, just a little off. Last year, I pieced together a 10th Doctor cosplay by going to different thrift stores. I eventually found a suit jacket and pants (slightly mismatched) and a trench coat. It still did the job and people knew who I was dressed up as. My fiancee and I are going to have a Doctor Who wedding where I'm dressing up as 10 and we both wanted me to have a better looking suit. fjackets.com came through with flying colours! My suit arrived today and it is fantastic! Absolutely brilliant! 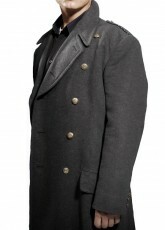 I ordered the trench coat tonight and can't wait for that to arrive. I was going to have a date on the New Year night and was worried a lot that what to wear. After all, I have to give my best impression on her. Then I saw this 10th doctor suit at your store and ordered it, and there where I got worried about that will it reach me on time. And yes, it was right on time and I was in best fitting as I love to wear. Although my date was a great success, and she liked my suit too. Thanks fjackets for making my day best…. Looks like a mafia suit to me because of the lines on it. Nice fitting by the way which I always wanted. It’s in style now so definitely I wouldn't one of those who want a bit loose suit. The color is nice like more of a dark chocolate type. Never go for light and the features are good looking too. Now this is something I would like to call, The Suit of New Era, that’s the Heading. Never before seen and wore it, but now I get to do both and I love it. I appreciate the service, as it was well communicated. Didn't find it loose, just fitting that’s all I wanted. All ready for my cousin’s wedding because this is going to be my dress code.